Protect your treasured carved-top single cutaway axe. 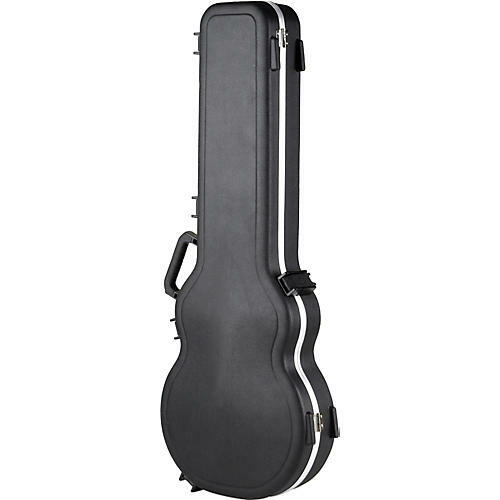 The SKB-56 electric guitar case includes completely new latches made of indestructible fiberglass reinforced nylon and include a TSA recognized and accepted lock. The over-molded handle is comfortable and perfectly balanced. The hardshell case features molded in bumpers for protection, a "tongue & groove" valance to keep dust and moisture out. Mobilize your axe with an SKB case. Order today.